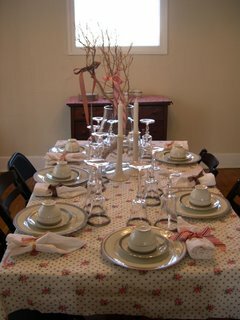 The first picture is of my daughter's table set for Thanksgiving dinner in Columbus, OH. Traci and Mike hosted our family get together this year. We had a wonderful family time. I just had to take pictures of her table decorations. She is so very creative and innovative. 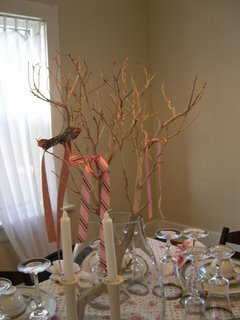 I loved the way she tied ribbons around the twig branches and then ribbons around the dinner napkins. (I hope the pictures will enlarge if you click on them so you can see the details). Even Betty had a matching ribbon on her collar. (Betty Boop is our Boston Terrier granddog). They bought their first home and it was an occasion to use their wedding china and crystal. The last picture is of my beautiful daughter, Traci, and me sitting on our steps here in Virginia when she came to visit us in September. I have been creating since I returned from our Thanksgiving visit. I've made several ATC's and experimented with some package tape transfers. My daughter keeps encouraging me to make some things to sell at shops. I just have to get up the courage. Actually, I just bought a new book that I am reading: Write It Down, Make It Happen by Henriette Anne Klauser (I got mine from Amazon.com. It is a great book about how writing down your goals is the first step to achieving them. If your goals are visual (written down) your brain starts seeing ways to achieve them...sort of like getting a new red car and suddenly you see so many red cars just like yours...you weren't thinking of red cars before you got yours. Well, this is my synopsis of what I have read so far. My husband and I just read together a great book: The Camel Club by David Baldacci. It is an on-the-edge-of-your-seat kind of novel. We read to each other in the car during a long trip. When we got back to Virginia, we stayed up late reading the ending as it was so intriguing. We stayed with our son, Matt, who lives in our house in Columbus. He has it decorated so nice, it looks far better than when we lived in it. He is a great host. He bought us vegetarian food and all sorts of treats to try. I'm sorry to say, the pictures I took did not turn out well or I would post them on the blog. I will have to take some others. It was a wonderful Thanksgiving, 2006. 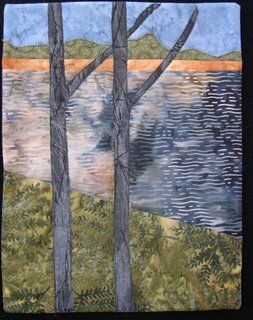 Today, I finished machine quilting this quilt and sewed on the binding. I decided such a bright quilt needed black/white binding for a contrast. I may still add some embellishments to it. I usually can't resist a bead or two or twenty. 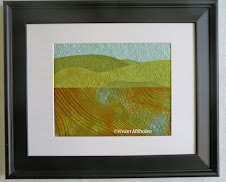 I used YLI machine quilting thread, varigated, and I must say it is not my favorite. 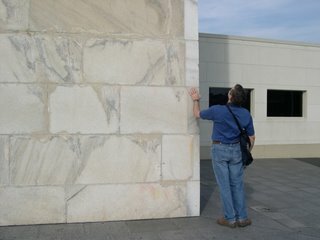 I had trouble with it all the way through from tension to breakage. Maybe my lovable Juki TL98E just doesn't like the thread. But it is finished and hanging back on the bulletin board. 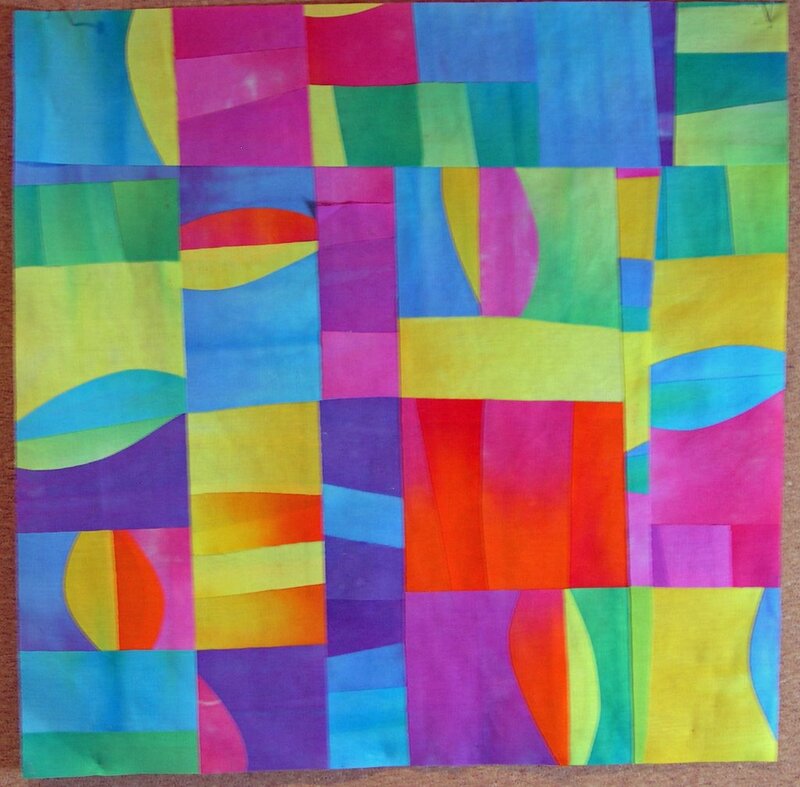 This is a picture of a quilt I made at NQA in a Melody Johnson workshop. Actually, it is a quilt-to-be as in "not quilted" yet. 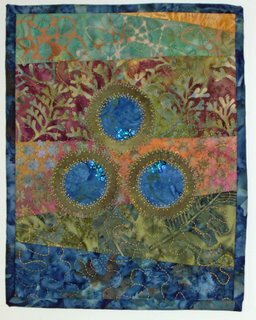 It is all fused using her hand dyed fabrics. Today, I will work on completing this. It has been hanging on my bulletin board for a long time. You know how you get use to things and don't "see" them after a while? When I moved, I took it off and just hung it again on my bulletin board. I have recently rediscovered it and now it will be quilted. 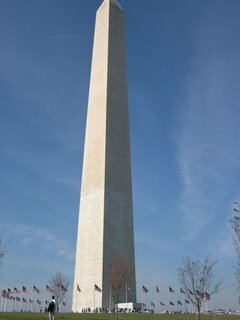 This weekend, we took the metro to DC for a day trip. We saw the most amazing exhibit at the Freer/Sackler galleries of the Smithsonian. It is called "In the Beginning: Bibles Before the year 1000". It was so awesome to see the ancient manuscripts! We even got to see one of the Dead Sea Scrolls! Some of the manuscripts were so ornately written, with lots of embellished lettering and drawings with gold that we were overwhelmed when we saw them. You just have to see it to believe it. Some were just bits and pieces of papyrus, parchment and some on wood. Here is the link to the exhibit: In The Beginning and if you are in the DC area, it is well worth the visit. Just seeing the artwork created by the scribes gave me ideas for my journaling pages. My brain was whirling. 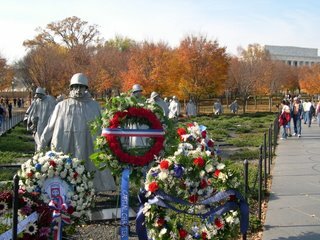 Being Veteran's Day, we also went to see some of the memorials. 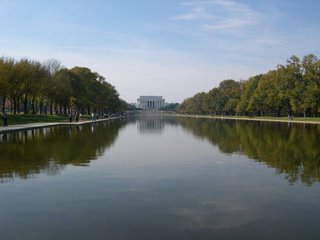 This is me squinting with the sun in my eyes and standing in front of the reflecting pool. 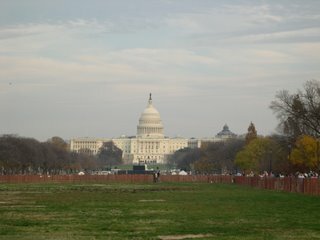 A nice view from the mall area. Although it was crowded, we enjoyed the day. It is always nice to see the Veterans among the crowd of people. Thanks to all the men and women and their families who sacrifice for our freedom. 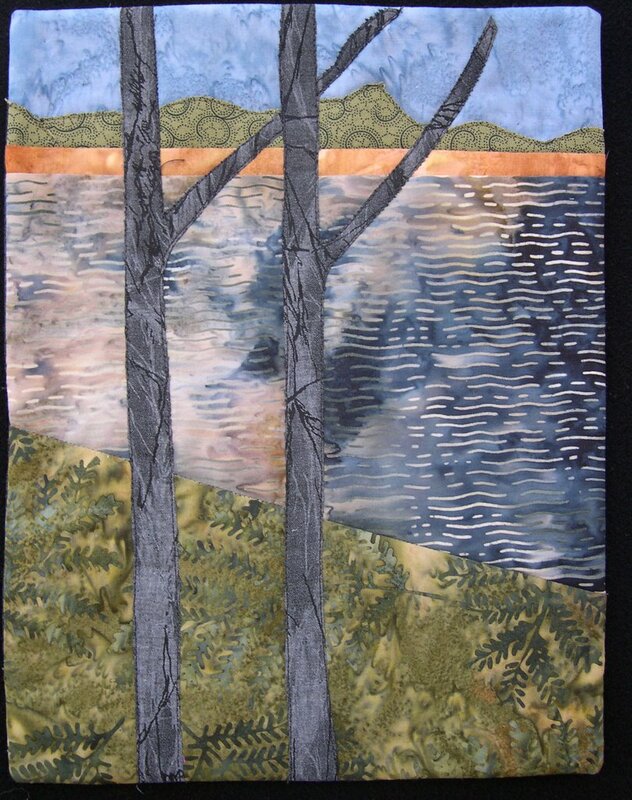 This is a picture of one of my journal quilts. It is the lake where we would go on family picnics as a child. 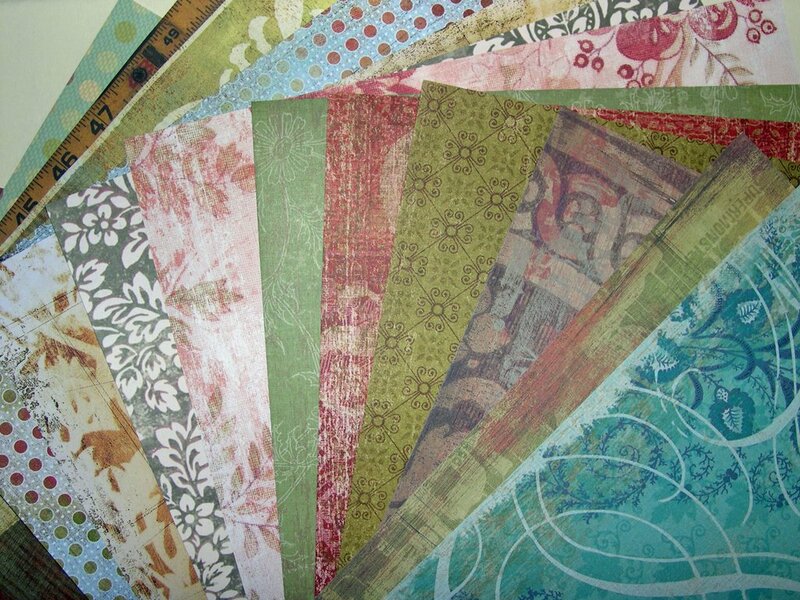 I miss making these journal quilts. Today, I went to G-street fabrics for quilt club. It is always nice to see the creations of others. The manager from the Falls Church store showed us his quilts and they were very inspiring as he is an art quilter, also. I also found some fabric by Loni Rossi that I really, really love! ( My friend, Susan, would love it, too!) I do miss my job at the quilt shop in Ohio. I have been having quilt shop withdrawals. So, today, I treated myself to some fabric. (Yes, it is quite a shock when you have to pay full price for it). This area in Virginia has some nice quilt shops which I will eventually find, I'm sure. It's just so hard to NOT get lost when I try to find my way around here. As most of you know, I am not very good at directions. 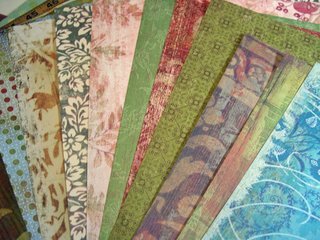 As I was wandering through my Photshop photos, I found some more pictures of a few of my Journal quilts. I can't think of the name of this one at the moment but it is one in a series that I designed. The three circles represent the trinity. The bit of gold at the top is the sun, the aqua is the sky, purple for mountains, pink for flowers and people, the green is the earth and blue for the sea. So, hopefully tomorrow, I will do some real-time quilting! This is a picture of the shipping tags I painted last night. I mixed just a smidge of watercolor (from a tube) with white and mixed a bit of water to make it pastel. When I achieved a shade I liked, I used a wide brush and painted both sides. Then I hung them up to dry. I really like how they turned out and may make more. I think my favorites are the blue/green ones. They sort of took on a vintage look. 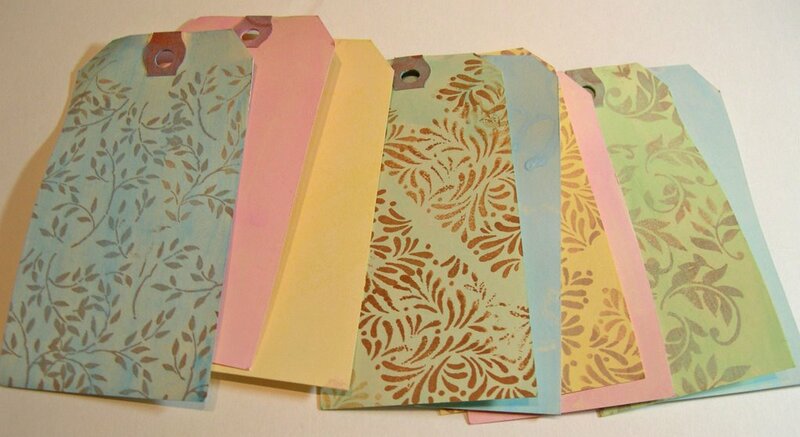 Some of the tags were stamped with waterproof ink before I painted them and some after they were dry. I plan to make a tag book, maybe an ocean theme or whatever hits me at the moment. Do you know what this is? No, it's not fabric, it's new paper! I just got it today at Scrapbooks Plus, a local scrapbooking shop. So, stay tuned to see what I create with this! Did you know you can stitch paper on your machine? I think I'm sounding like a mad scientist! 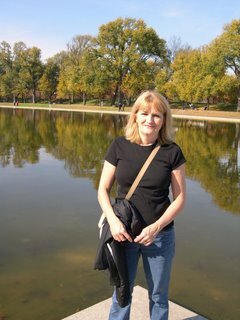 My good friend, Susan, phoned today. She may come down to visit me and we can play with fabric and paper stuff. (between shopping, that is!) She is so talented! You should see her creations. She is the one that really got me started on paper creations. Oh, and before I end today's blog and get back to that paper...here is a sweet picture of Taylor. 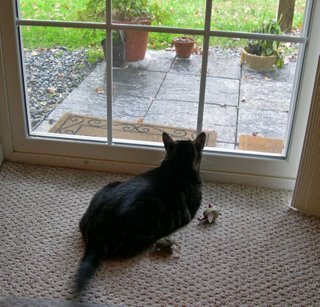 You can't see it, but there are birds out in the grass that she discovered and her tail is swishing and she is chirping with hopes that she will be able to catch them. Cute! Did I say that her tummy is golden, just like a real tiger in the jungle...and all of my friends and family know how much I loved Sammy the tiger. This is just a test to see if Blogger will publish my blog correctly. It is slow and didn't publish my last post. 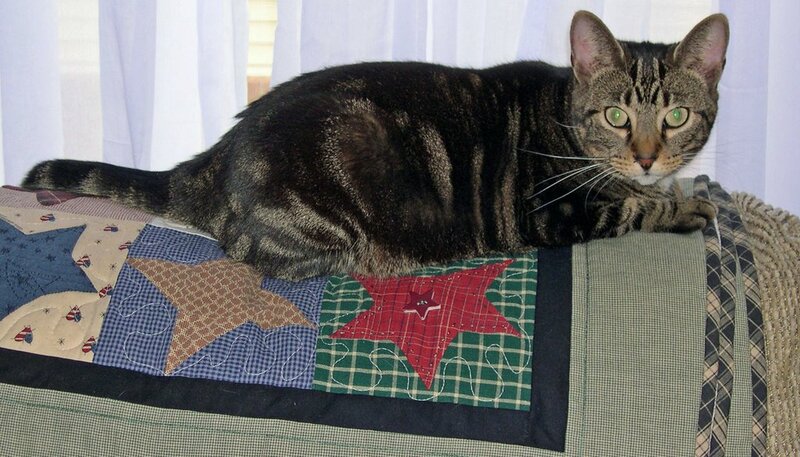 This is a cute picture of Taylor lying on the back of the sofa, on a quilt, of course! She loves quilts and doesn't prefer one over the other. She would just as well lay on an all white whole cloth, hand quilted one or this homespun fabric, machine made one...What ever Taylor wants. 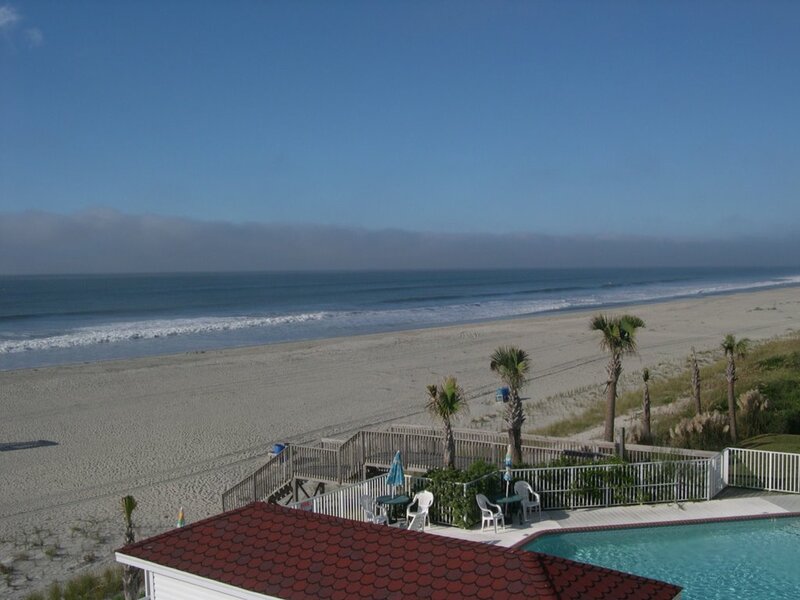 This is where I would prefer to be this morning...at the beach, Ocean Isle Beach, NC is preferable, actually...but alas, here I am in Virginia. This morning, before daylight, we voted in the mid-term elections! It always feel good to do my part. Of course I won't tell you how I voted, but I think tonight's news will be interesting to say the least. In Ohio, we had the punch ballots (you know, the hanging chads). Here in VA, we just used a marking pen and filled in the ovals and then a machine scans it. Ok, I will admit that this post is soon to get boring so I will change the subject. Our sweet cat, Taylor, is getting very comfortable with her new home now. If she hears us turn over in the bed at 3 am, then it's time to throw mouse! And of course I do! She always has one in reserve somewhere. She has taken over my Horn sewing chair in my studio as a daytime bed. She sleeps or gazes at the leaves blowing around outside. Of course that is the reason I haven't been sewing lately. Taylor has claimed my chair. Mouse has to sleep on the floor. Taylor is so much fun! I went to Houston to Quilt Market last week with a group of my friends. It was so much fun! The quilts were amazing!! Quilt Market is so huge, so many vendors! I got to meet Pat Sloan (we shop at the same Target! ), Amy Butler and Patricia Bolton. They are so nice! I did get inspired to come home and make quilts! 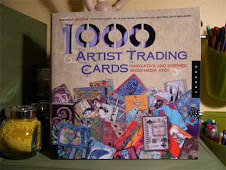 I got some wonderful hand dyed wools and new books. My scanner pooped out this week and doesn't like my computer or I think it's my computer being snobby to an old relic of an HP. So, I have to take pictures of my artwork outdoors where the light is good. 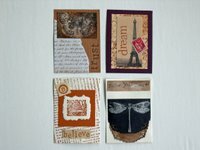 These are 4 new ATC's that I have completed. I like using new techniques. I have some more to take pictures of but it's too cold outside this morning.